Meet Lillian: a grandmother in her seventh decade of life. As a student, she committed herself to working for a world in which human societies lived in balance with natural surroundings. As time passed, “Growing more Green” dominated her grocery shopping and energy usage at home. She was so hopeful. 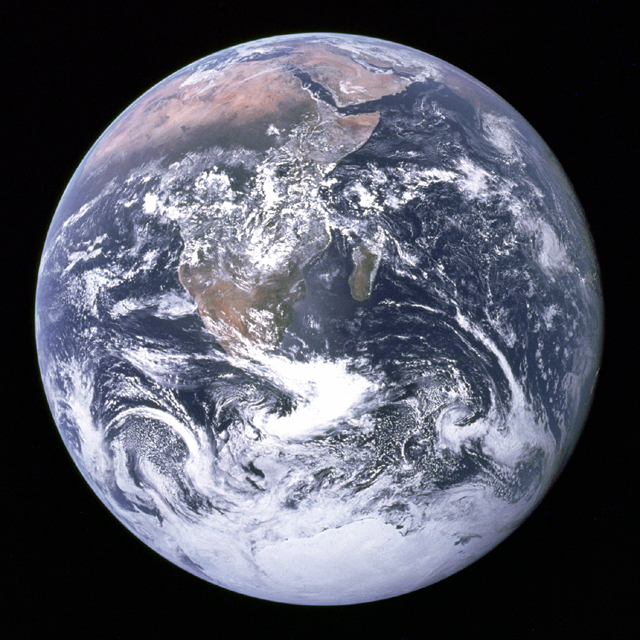 Space photos depicted earth as small but beautiful. Earth as seen from Apollo 17. NASA photo. In the public domain. Then, in just the past year she experienced a blistering attack on her dreams and values as an anti-green party came to dominate the national political scene in America, her homeland. The Environmental Protection Agency, which had worked toward standards friendly to nature as well as to humankind—well, the EPA was gutted. Lillian was crushed. All those past years of work and gains just washed down the drain. What would happen to the people in coastal areas, especially those in Louisiana whose island habitats were already eroding due to high water? What would the world be like for her own grandchildren when the average temperature rose worldwide? What if her grandkids will be living the southern U.S., which will be so hard hit? 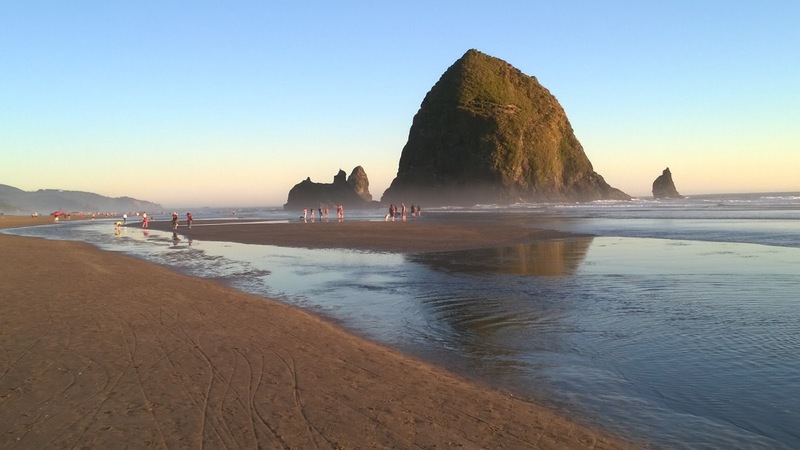 What about beloved beaches like this in Oregon? With higher water and more vicious storms? What about ice fields up north and down south? Lillian pondered thoughts like that. On June 1, 2017, the President withdrew the United States from the Paris Agreement/Accord de Paris and broke Liliian’s spirit. She broke down in tears about global warming. In despair, she expressed herself to her son and daughter. Gratefully, she found that they agreed with her. Despite her broken heart, she continued to read her newspaper. Even this morning (7/8/2017) her despair deepened again when she read about her president's isolating the U.S. from other nations in the G20 meeting in Germany. But just recently she began to recover when learned that California had stepped forward to take the lead in America in support of the Paris Accord. She read that Washington State had committed immediately to act in concert with California, and many other states had come on board also. Then she read that some of her own state’s largest employers (Nike, Intel, etc.) voluntarily pledged to conduct their industrial process to Paris Accord standards. Even before a week was out, her newspaper reported that “We are still In,” a private program to organize support for the Paris Agreement, was taking hold. Not only employers but her state, her city, colleges and universities, a large electrical utility, and many others in her part of the U.S., had signed on. She learned that colleges and universities had pledged themselves to conform to the Paris Agreement. Then she read that another nation, France, was working toward a goal of no petrol-fueled cars by 2040. “Fantastic! Hallelujah!” she thought. She began to talk with her grand kids. Would they want to lobby their school district to support the Paris Accord? Both in greening the schools’ utility consumption and in classroom programs? The kids said “Yes.” She discussed ways they could intercede in student council, with teachers, and with their principal. They said, "We could get into that." She decided she’d ask her pastor if the church could pay more attention to caring for God’s green earth. “Why yes,” said her pastor. “Are you aware of Pope Francis’ encyclical on climate change, ‘Laudato Si’?" “Why,” she answered. “It sounds heavy. Is climate change what that’s about?" · Telephone my representatives (local, state, national). · Join that Bible class on Pope Francis and get his ideas. · Talk more with the grandkids as the school year begins. · Get ideas from my utilities on greener appliances and heating habits. · And so on. Add your own ideas. Look up. Act. Live. Share Lillians's story with a friend.